It’s a long time since I did one of these, and all the previous ones were studies. This is from an OTB game, so someone really did have the pleasure of playing it. It is not difficult to find, but is lovely all the same. I had seen it before, but had forgotten it. I received a reminder this morning, whilst in the process of proof-checking one of the best and most entertaining instructional books I have ever seen – more about that at a later date. For now, just try solving the position. Answer tomorrow. PS. 13 Feb. White won with the spectacular 22.Bh7! !, taking the square g8 from the black king. 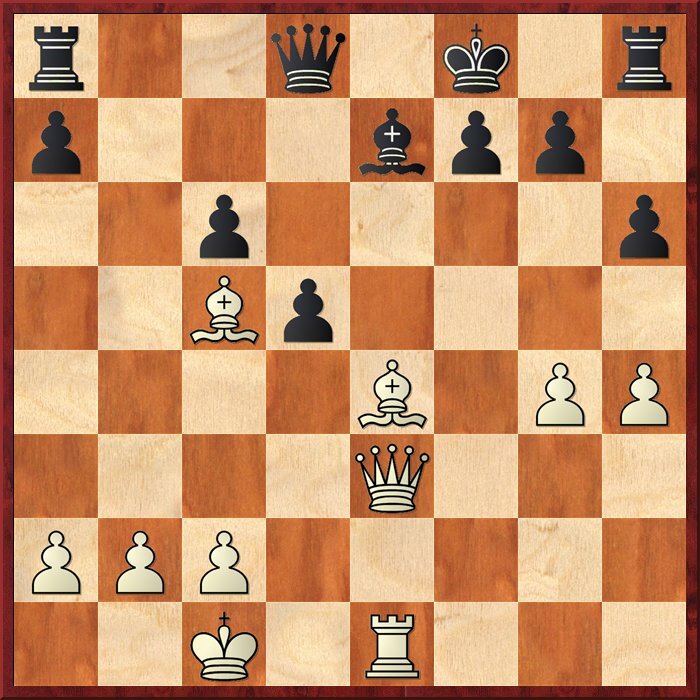 Black loses everything, since 22…Bd6 is refuted nicely by 23.Qe8+! Qxe8 23.Bxd6+ etc. This was a game Hommeles – Skoblikov, from the Dutch League 1992. I was reminded of it by seeing it in a forthcoming book by Dutch IM Willy Hendriks, which will be called “Move First, Think Later!“. Keep your eyes out for it when it is published in a few months’ time – funny, controversial and the best instructional book I have seen in years.